We all have cutting board(s) in kitchen, yes? I like wooden or bamboo ones since I can use it to plate up rustic foods. Though do you know how clean your cutting board is? 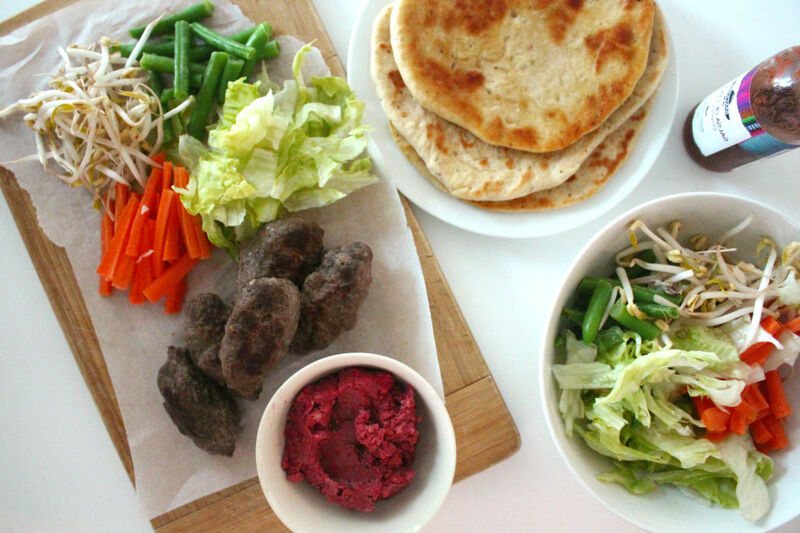 Approaching a hot summer in Melbourne, I thought I will briefly write about it to prevent a cross-contamination and food poisoning. You might all know but it is best to use different cutting boards for different foods (wood ones for fruits and vegetables, plastic ones for cutting meat, glass ones for pastry and cheese). If you use wooden or bamboo ones like I do, vinegar or hot soapy water is a way to go to kill all bacteria. You can use baking soda for a deeper clean and dry completely before storing away in a rack so that there is air flow. Replace them if you find deep cuts, scratches or grooves due to bacterial growth. I also tend to use one cutting board to just serve food on or put a baking paper when using my usual cutting board. Cover soaked chickpeas with cold water and boil over medium heat for about 20 minutes or until cooked. In the mean time, dice beetroot, drizzle with oil, sprinkle cumin, place in the preheated oven (180) for 10-15 mins until tender. 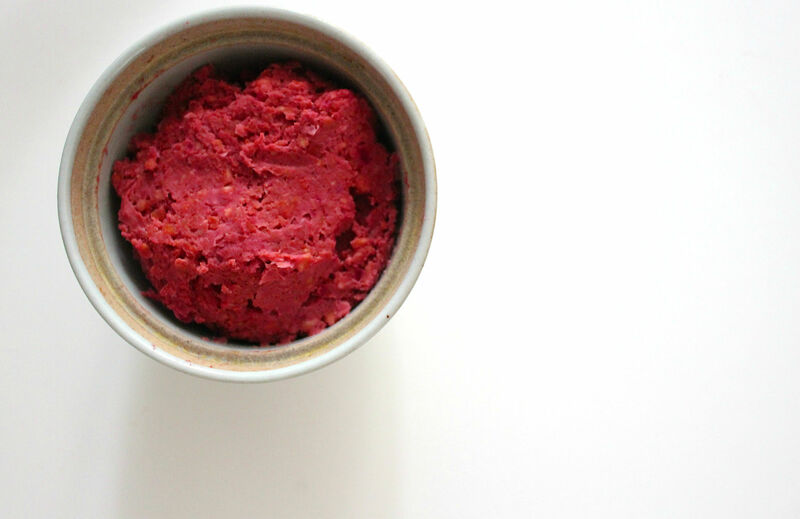 Put cooked chickpeas, beetroot, tahini, crushed garlic, lemon juice and salt into a food processor. Blitz until smooth adding a bit of water if needed. Taste and adjust seasoning. Transfer to a serving bowl and drizzle e.v.o.o.